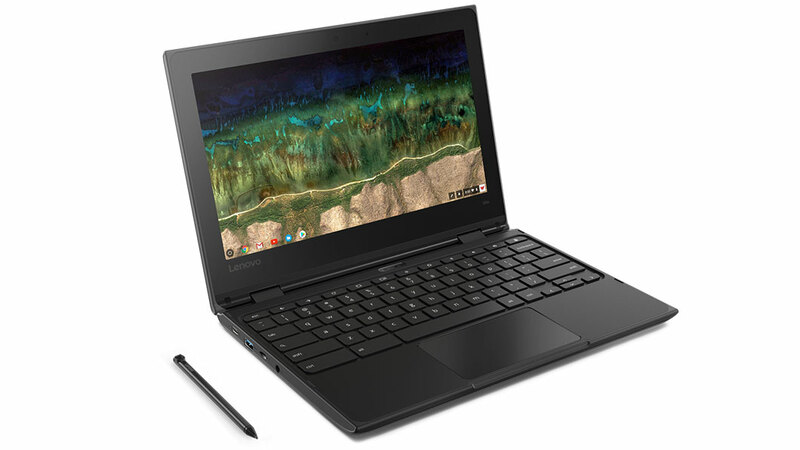 Chromebooks don't have as much power as the average Windows laptop, but they don't need it. These devices can do everything most computer users need and then some. The lower price point is nice, too. 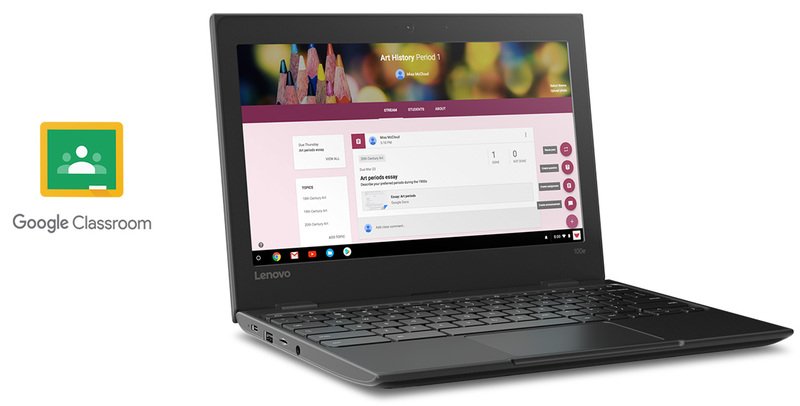 Lenovo's latest Chromebooks run the gamut from mid-range to bargain-basement, and all of them have a focus on education. The new models are the 100e, 300e, and 500e. The 500e (above) is the high-end of Lenovo's new lineup. It packs an 11.6-inch HD (1366x768) multitouch display, a quad-core Celeron CPU, and 4-8GB of RAM. It's a bit on the thick side, but it has two USB 3.0 ports and two Type-C ports. It also charges over Type-C. There's also a stylus that docks inside the computer. The 500e launches later this month for $349. The 300e (above) steps down to a MediaTek MTK 8173C SoC with 4GB of RAM, and one each Type-C and USB 3.0 port. However, it has the same 11.6-inch multitouch display and it adds HDMI out. This device launches in February for $279. 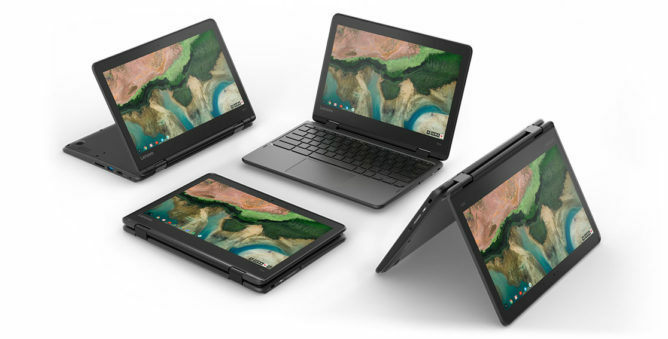 The last new Chromebook is the 100e (above). This one uses a cheaper dual-core Celeron CPU with 4GB of RAM and an 11.6-inch non-touch display. It moves back to having two USB 3.0 and Type-C ports, though. This computer launches later this month for $219. At MWC, Lenovo announced that these Chromebooks are now available. They were supposed to ship at the end of January, but it looks like they were delayed. You can grab them from Lenovo now with 5-7 days of expected shipping time: the 500e is $309 (though the price is supposed to be $349), and the 300e is $269 (it's supposed to be $279). The 100e will ship for $219 in March. Lenovo says the 3 models will soon also be available from partners in the US, Germany, Italy, UK, Spain, Brazil, and Australia.